A software development team developed to employ Agile Scrum principles continues to support the existing Ingest Archive System used at the Asheville NCEI location. Supported Operations with numerous enhancements and corrections to the Ingest Archive System. Extended system to include file ingest using http, and archive using secure FTP protocols. In collaboration with NCEI in Boulder, CO, we installed a proof-of-concept instance of the Common Ingest system used in Boulder on CICS-NC hardware in Asheville. This proof-of-concept is being evaluated for potential implementation in operations at the Asheville location. The architecture allows for ready addition and modification of software components (figure below). Enhancements required for use at the Asheville location have been identified, following analysis and load-testing. 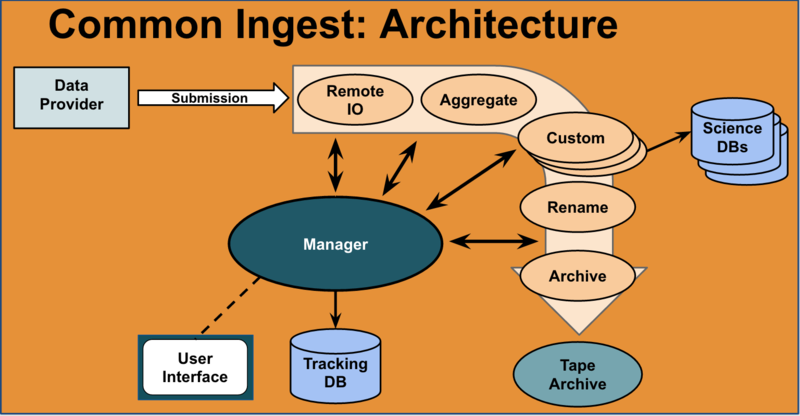 Planning is underway to implement the new ingest architecture in the production environment, initially for one data set. Monitoring of the Local Data Manager (LDM) service was recommended following significant undetected failures of upstream data providers for National Weather Service (NWS) data. 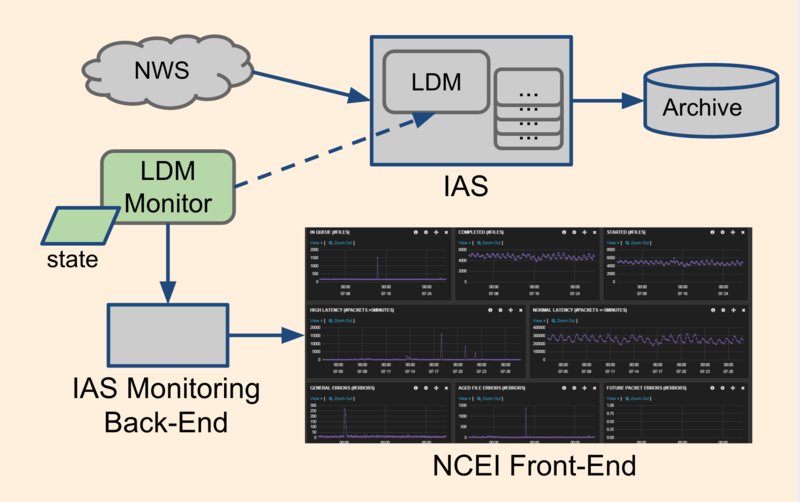 A monitoring solution was created which connects to the live LDM application event stream, tracks state to deduce processing metadata, and reports that through the existing IAS monitoring system.